A Mid Ulster councillor has hit out dangerous driving on rural roads in the Loughshore area of County Tyrone. Torrent SDLP councillor Malachy Quinn strongly condemned an incident in the Brocagh area in which a car ended up burned out. Speaking about the incident Cllr Quinn said “I received several phone calls last week from residents not only in Brocagh but from other places like Ardboe, Derrylaughan and Clonoe all reporting cars burning off and carrying off dangerous manoeuvres at busy junctions. 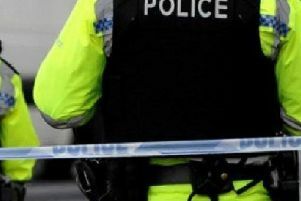 "One such incident in Brocagh lead to severe damage to the car in question, which the drivers then burnt out on the Ballybeg Road, close to homes. "This idiotic and dangerous behaviour is going to lead to someone being hurt or worse. The drivers doing this are not only risking their own lives but they are risking those of other road users and that is unacceptable. Councillor Quinn said he has been in contact with the PSNI and they have assured him they will be keeping a close eye on the situation.